The new VAIO range consists of two notebooks, the S11 and S13. The VAIO S11 features an 8th Gen Intel Core processor, 11.3-inch FHD IPS display, up to 16GB of LPDDR3 RAM and up to 512GB of SSD storage. At 0.85kg, it's extraordinarily lightweight but surprisingly beefy. 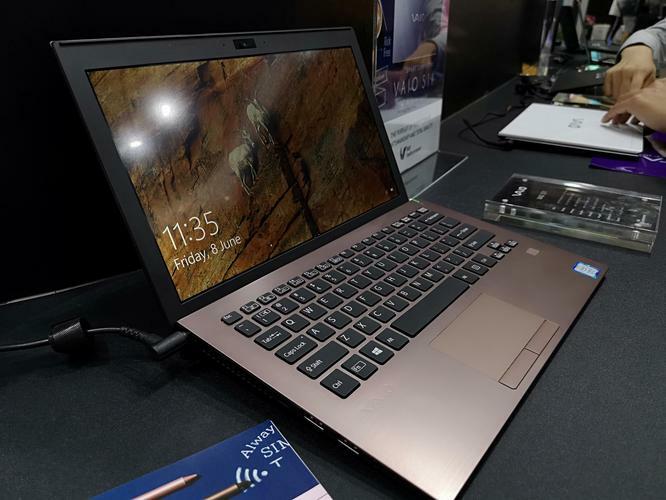 Then, the VAIO S13 features an 8th Gen Intel Core Processor, a 13-inch FHD IPS display up to 16GB of LPDDR3 RAM, up to 512GB of SSD storage. It comes in a little heavier by comparison at 1.07kg. Both are available in both i5 and i7 variants. Unfortunately, they won't be available to Australian customers. At least, not yet. Speaking to PC World Australia, Nexstgo told us that they currently only planned to sell the product in Taiwan, Hong Kong, Malaysia and Singapore.